Easter is coming up fast! Are you ready for a weekend of eggs, rabbits, and family time? If not, take a look at this quick list to get an idea or two! Items compiled from LakeExpo.com Click here for more info. Apr. 20, 2019, 10 a.m. - 11:30 p.m. Tap into your desire to dig for treasure! Come search for over 2,000 Easter eggs that are buried in the sand! Play peep dodgeball, enter a coloring contest, make some crafts, and shoot down the 25ft inflatable slide! Can you dig it? Head to the 4th Annual Egg Drop where 5,000 eggs will be dropped from the sky! There will be free popcorn, hot dogs, prizes, an inflatable slide, games, a fire truck, and a water patrol boat. Eggs drop at 11 a.m.! Apr. 20, 2019, 11 a.m. - 2 p.m. The 5th Annual Osage Beach Easter Egg Hunt will be held on April 20th at the Osage Beach City Park! 50,000 candy filled Easter eggs spread across the ball fields at Osage Beach City Park. Kids are divided into four age groups for a crazy fun shotgun start egg hunt! Get your picture taken with the Easter bunny, win golden ticket prizes, enjoy balloon animals, face painting, bounces houses, and a free hotdog lunch provided by First Family Church makes for a fun filled day. Apr. 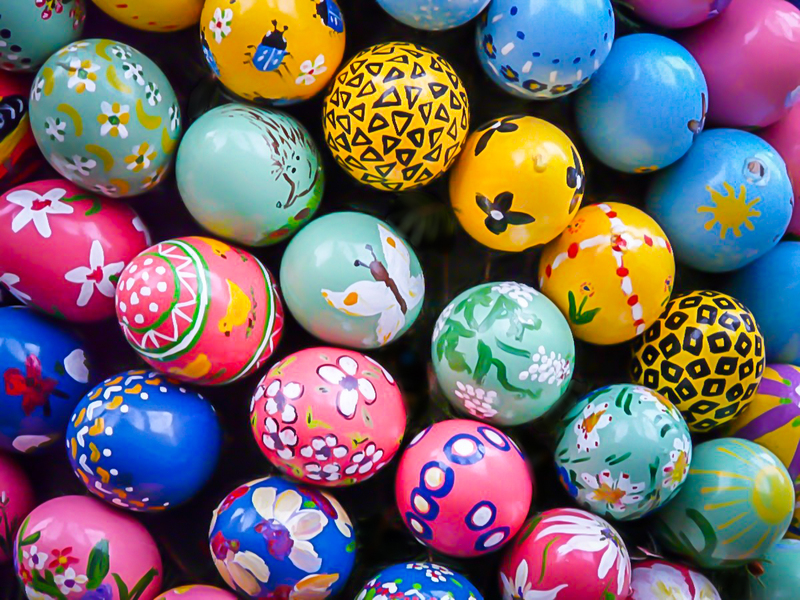 20, 2019 @ 1:30 p.m.
On the Saturday before Easter, the Laurie Easter egg hunt attracts children from tots to pre-teens to find 14,000 eggs "hidden" throughout the fair grounds. Kids are broken up into four age groups, and there's a prize for every child! The Easter Bunny always makes an appearance to the delight of everyone. The Easter Bunny will make his appearance at 1:30, with the egg hunt beginning at 2. Apr. 20, 2019, 3 - 5 p.m.
Apr. 21, 2019, 8 a.m. - 3 p.m. Celebrate Easter with Ozark Yacht Club's Easter Brunch Buffet! The kids can meet the Easter bunny, get their faces painted, and take pictures in the photo booth! Call 573-552-8401 or visit www.ozarkyachtclub.com for more information. Enjoy Easter brunch at Captain Ron's and don't let the kids miss the Easter Bunny and enjoy the Easter egg hunt at noon. Apr. 21, 2019, 10 a.m. - 3 p.m.
Visit www.oldkinderhook.com to see full menu. Apr. 21, 2019, 10 a.m. - 2 p.m.
Redhead's Easter Buffet is their most extravagant! Buffet Includes: salads, shrimp cocktail, smoked salmon, a charcuterie display and cheese tray, fruit tray, Eggs Benedict, biscuits and gravy, quiche, Steak Diane, and Seafood Paella w/shrimp, mussels, and clam, a waffle station, omelette station, and carving station w/ham and lamb. Desserts: fried doughnuts, Chocolate and Peanut Butter Mousse Napoleon, carrot cake, profiteroles, bread pudding, fresh fruit, pound cake and whipped cream. First quarter sales numbers are out. Here are a few takeaways from the Lake of the Ozarks market. So far home and condo sales are down for 2019. Is the market slowing down or is it more weather related? The jury is still out but I can tell you February and March were not pleasant months to visit. Commercial action is up slightly, which is a good sign. However, homes over a million were down from 2018, which was down from 2017. Total volume is below both 2017 and 2018 heights, with a drop of nearly ten million in total sales from last year. I hope you find that attached information useful. Let me know if I can be of real estate assistance here at Lake of the Ozarks. After years of planning and construction, the new facility is set to open near the end of March. 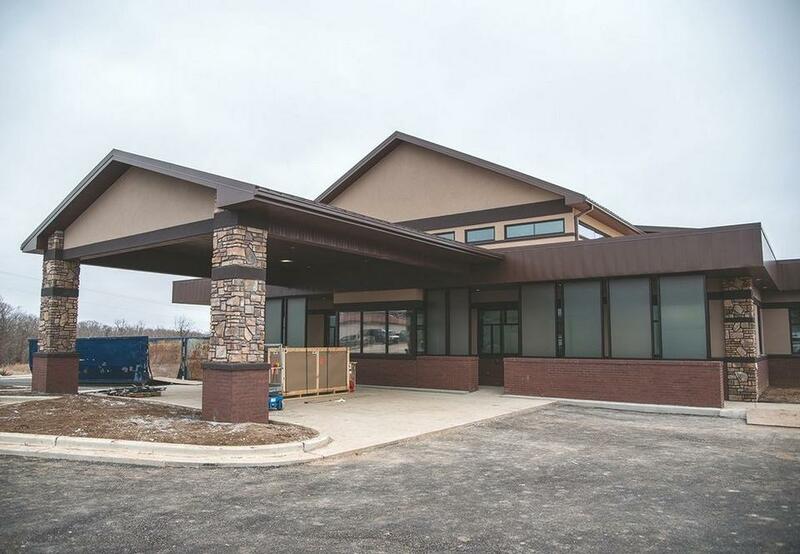 Combining all services currently offered by Central Ozark Medical in Camdenton in one location off of Business Route 5, the $3.5 million investment will be a great addition to the community. Todd Bailey, Director of Operations at Central Ozark Medical, says the new building will house medical, dental and behavioral health all under one roof. With two locations in Camdenton already, the building will see all operations brought together, with the other existing locations being shut down. However, this location will increase employee numbers in Camdenton with eight newly staffed dentists. Bailey says, among the many new features, the building will house eight dental operatories, state of the art medical equipment, a new digital x-ray machine and more. Construction on the project has been taken care of by Bales Construction. One aspect of construction that Bailey says was a top priority was to make the building as “green” as possible. To achieve this, he says the interior will have large, open space filled with massive amounts of natural lighting. He says this is intended to promote an “open and healthy environment” for the patients. Bailey says that the main benefit of building this new location was to condense all of Central Ozark Medicals services to the same building and allow for patients to receive multiple areas of care without having to travel between needs. With services also located in Osage Beach, Bailey says Central Ozark Medical will be only increasing their care availability to lake residents with this addition. “It will be nice for folks to come to one clinic and get all their needs taken care of,” Bailey said. March 25 sits as a hard opening, when public will be allowed in the facility and able to schedule appointments. March 22 will mark the date of closure for the other existing facilities. Employees will utilize a soft opening for a week to training on equipment before officially taking appointments with the new equipment. Information for scheduling appointments will come soon as the grand opening comes into view. Are you looking for a home in or around Camdenton? Click here to see what's available! Picture and information courtesy of Mitch Prentice and Lake News Online. See the full story here. 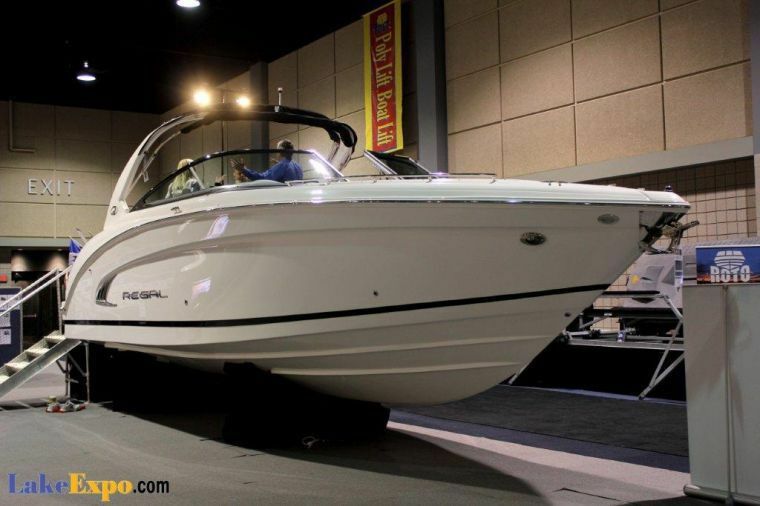 The Overland Park Boat Show is coming up next week! From January 24 to January 27, see the latest and greatest in boating! The Marine Dealers Association is made up of over 40 Lake of the Ozarks area marine dealers. They represent all the top lines of boats, marine accessories, docks, personal watercraft and everything else to promote fun on our waters. At out Association website you will find a complete list of our member dealers and also a listing of upcoming boat shows in our area that are promoted by LOMDA. To access our Association website, simply click on the picture logo above. Information and picture courtesy of LakeExpo.com. See the original article here. 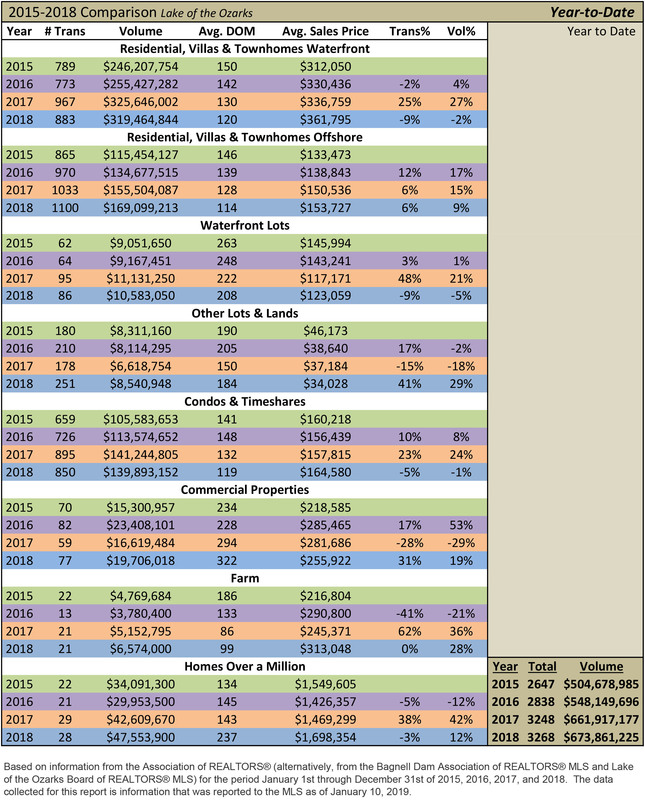 People are always curious and asking "How is the Real Estate Market at Lake of the Ozarks"? Thankfully it is strong and looks to be continuing that trend. 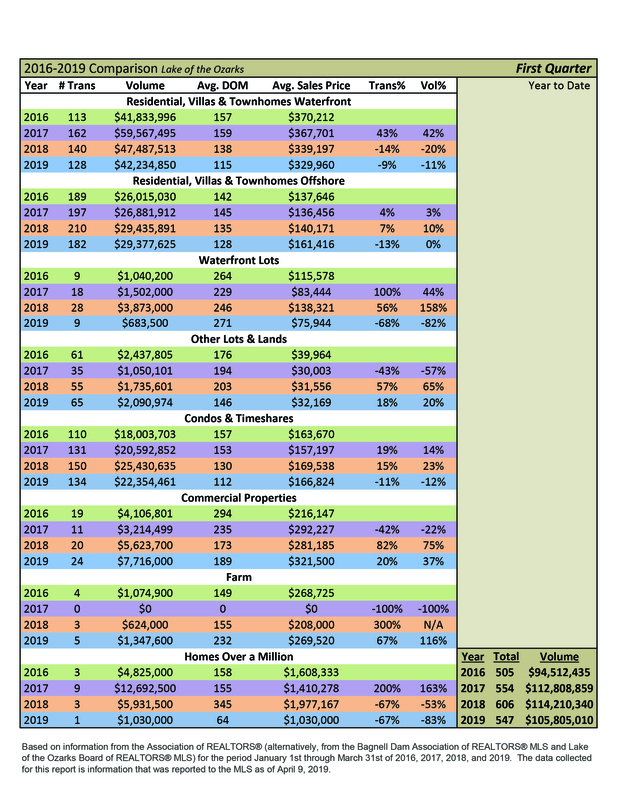 The Bagnell Dam Association of Realtors recently released the 2018 MLS Yearly Comparison Report and I wanted to share it with you. Overall you notice there was a slight overall increase in total sales and total volume from 2017. See the chart for a full breakdown of the statistics for each sector. The Schrimpf Real Estate Group is looking forward to 2019 and being a huge part of these sales! All docks should be tested to ensure that they can safely rise and fall with the water levels: residents should check to make sure the dock isn't pinned or hampered by any stumps or objects, and inspect all dock cables and bolts for loose parts or rust. Water lines should be drained, and boat lifts should be raised to ensure they are holding air. Cables should be lengthened to allow docks to drop as the Lake or river levels drop. Hinges, pins and other connections linking any remaining docks to seawalls or piers have the flexibility to follow water level fluctuations. Dock owners should make sure that they have a proper deicer and that the machine is working properly. For example, agitators are typically meant for deeper waters, as they are designed to bring up warmer water from the depths to prevent ice from forming. In contrast, bubblers are made for shallower waters, because they use compressed air to disturb the water, preventing ice from forming in areas that lack a warm undercurrent. Below the dam, dock owners should remove their docks from the Osage River before cold weather hits. Now, on to the upcoming projects! First thing to look at is a major sewer expansion along Highway 5 in Sunrise Beach. This expansion is funded by over $3 million in grants, and is anticipated to be a major boon for businesses and residents alike. The city is hoping to improve residential life for many, while encouraging major growth in business. The project is anticipated to go out for bid this Fall. The final project to look at is a series of new Trail Runs that will hit the State Park this year! The first, a 25K along the Trail of Four Winds, will happen in May. Two more will follow; one on Honey Run Trail at an unspecified date, and another that has not been finalized. There are only 350 slots for the first race, so make sure you register if you're interested! You can find more details here. Aside from these fantastic developments, there will be plenty more coming to the lake in 2019, so keep an eye out and your ears open! Looking for a home around the lake? We can help! Click here for homes around Sunrise Beach, and here for homes near the State Park! 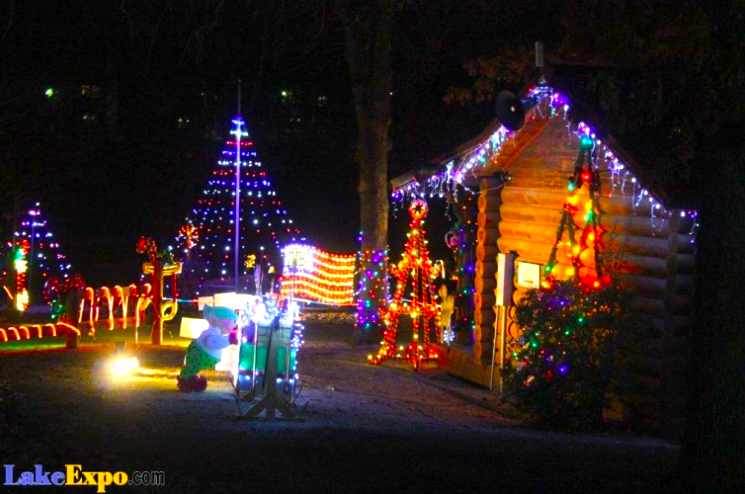 Laurie's Enchanted Village of Lights will be packing up soon! This weekend is your last chance to catch one of the lake's main Christmas attractions. The Hillbilly Fairgrounds are truly a sight to see during the holiday season, and the recently refurbished fixtures have only added to the charm! The show will be going away after the New Year, so make sure to visit before it's gone! There is no charge to see the Enchanted Village, but donations are appreciated. Looking for a home near Laurie? See what we've got here! This story courtesy of LakeExpo.com and Nathan Bechtold. The original article can be found here. The Shootout has donated $1 million to local charitable/community organizations and fire districts, just in the last decade. Here’s a peek at how they’ve used the money. What do dozens of finely-tuned powerboats and dozens of Lake of the Ozarks charities have in common? Well, the answer wouldn’t be immediately obvious, were it not for the Shootout. Just like the boats on the race course, the event has become a well-oiled machine, raising $1 million for Lake area charities in the last decade, with $200,000 raised in 2017 alone. Where does the money come from? All over. Some people—racers and fans—simply write checks and hand them over, ready to benefit the many charities doing lots of good across the diverse Lake region. Ad revenue from the Official Shootout Guide gives a big boost to the annual dollar amount raised. And Shootout events like the Golf Tournament, Poker Run, and Treasure Hunt bring money both via tickets sold and title sponsorships. How is it distributed? Proportionately to how Shootout-connected charities help volunteer their time. More than two-dozen charities will be connected with Shootout events this year, helping everything go smoothly: from taking tickets to parking cars to setting up and cleaning up. Other folks, not explicitly connected with any specific charity, volunteer their time on behalf of the charity of their choice. Volunteers all sign a time sheet, where they “clock in,” sign their name, and indicate the charity they want their hours to go toward. When all the boats go home and the donations are counted, the money is donated proportionately to how many hours were worked on behalf of each Shootout charity. "There were 647 volunteers, who clocked 8,800 hours in 2017," former race director Ron Duggan explained. In its 20 years of existence, Ozarks Habitat for Humanity has built 18 homes in the Camdenton area, providing affordable housing for 23 adults and 50 children. The organization tithes annually to Habitat International, which has helped build another 47 homes internationally. Proceeds from the Shootout contribute to the great work of Habitat for Humanity. The Shootout typically contributes thousands of dollars per year to the Laurie/Sunrise Beach Rotary. The local club in turn supports three Lake-area food pantries, Morgan County Coalition for Kids, Citizens Against Domestic Violence (CADV-VOC), Medical Missions for Christ, Wonderland Camp, Westlake Aquatic Center, and literacy programs. Another Shootout-benefitted organization, Community Leaders Educating About Resistance (CLEAR) helps educate people about high risk behaviors while promoting a safe and healthy community. One of the largest recipients of Shootout donations in recent years, Laurie Elks are deeply involved in helping the community on the Westside of the Lake of the Ozarks. Among the Laurie Elks’ many recent activities they have either helped fund or organize: Youth Day for underprivileged children, Kids Fishing Derby, Local Boy Scout Troop and Council, Clothing Vouchers for Needy Families, Providing propane and sleeping bags for a single mom in the area with 6 children, Christmas Basket Program over Christmas Break, 2 weeks worth of groceries to 102 families, Tree of Joy: 2 Christmas toys for 360 children, Angelman Syndrome donation, Helped with new siding on the Sunrise Beach Little Theater, Repaired vehicle light bars on Sunrise Beach Police cars, Helped fund Missouri Burn Camp: a camp for severely burned children so they can make friends with other burned children and build self esteem and make friends. Laurie Elks also celebrate a Student of the month program recognizing 4 boys and girls at each school, as well as student of the year which awards 5 scholarships to students across 4 schools. Laurie Elks sponsored a Youth Ambassador for ACT Missouri Drug Awareness; and has made donations to Share the Harvest, Food for Morgan County, and Community for Christ. In a big tribute to the important role local fire districts have played in the Lake’s longest-running boat race, the Shootout annually donates tens of thousands of dollars to eight local fire districts, some of which operate with tiny budgets in big areas. Those departments volunteer time at the event every year, in all sorts of capacities. Thanks to the Shootout, Coffman Bend Fire Department—historically one of the largest recipients of Shootout dollars—was able to purchase a new firetruck and an Auto Pulse Resuscitation System. The largest district in the region, Mid County Fire Protection District uses all the money received for training and equipment. for the Dive and Water Rescue Team. CADV is a crucial shelter at the Lake for people suffering under domestic abuse. CADV uses money from Shootout donations to help women and children who are moving out of the shelter set up their new home in a variety of ways. Often this means assistance with deposits for utilities or rent for the first month. Furry friends benefit from the Shootout too! In 2017, Dogwood Animal Shelter was able to purchase 100 bags of dog food and 45 bags of cat food, thanks to Shootout donations. Summer is quickly coming to an end and that means the school routine will begin soon. Try these 11 tips to help your student establish routines for a successful school year! Seven to ten days prior to the first day of school start the process of regular sleep. Wean the student off of going to bed late and sleeping late. Once school begins the eating patterns of the student need to be set so that they can maintain a high level of energy throughout the day. The routines of breakfast, snack, lunch, snack and after-school snack prior to homework need to be implemented. Begin now to encourage reading and writing at least 7-10 days prior to the first day of school. If school textbooks for the upcoming year are available, start there with the first several chapters. Establishing well-defined goals is one of the hallmarks of a champion. Set goals for each class and hold your student accountable. Football games, dances, playing video games, watching television, social media, homework, sports, extracurricular participation and friends are all part of each school year. Does academics top the list of priorities? As a student or guide to a student, you need to know three things about social media. What is my responsibility? What is my authority? And lastly, what will I be held accountable for? Monitor this activity. This subject needs to be addressed frequently with your student. Every thing they do or don’t do has a positive or negative consequence. What is the risk of doing this activity? What is the reward (or consequence) of doing this activity? In order to turn your student into a viable and responsible decision-maker ask questions. Great questions will eventually produce great answers and ultimately great actions. Birds of a feather flock together. Interview, research and keep tabs on ALL of your student’s friends during the school year. This definitely includes monitoring ALL social media. Make your student an integral part of the family. Keep them in the loop of all upcoming activities. Make the family name a brand each family member is proud to showcase in the community. Allow your student the time in their busy schedule to hang out with friends. Just be moderate. Grades first.